The contactless revolution is well underway in West Yorkshire with a staggering 80,000 contactless transactions recorded across First West Yorkshire services in just over a month, latest research reveals. The news comes as operators and suppliers including First West Yorkshire, West Yorkshire Combined Authority (WYCA) and Cammax have teamed up to launch a number of SMART ticketing initiatives including the introduction of contactless-friendly SMART ticketing machines across some of the region’s biggest cities. New Park & Ride facilities launched at Leeds Elland Road and Temple Green have been partly credited with helping to encourage passengers to make the switch from cash-led travel. 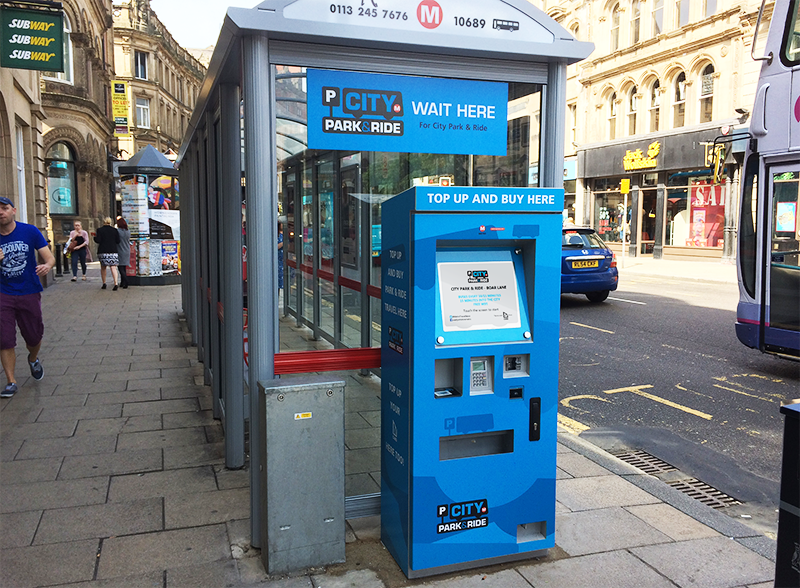 New SMART ticketing kiosks deployed at those sites has led to faster and more convenient travel and such has been their success so far that operator First West Yorkshire has revealed that over 4,250 passengers are choosing to switch to contactless payments every single week. By introducing the option to pay for travel with a contactless card or mobile, customers don’t need to worry about having the right change for their bus fare which has had a huge impact on boarding times; helping to speed up journeys and in most cases, offering a more cost-effective method for operators. The move towards introducing SMART ticketing kiosks has also proved to be a cross-generational hit, allying concerns about take-up amongst older age groups. The Bradford Telegraph & Argus interviewed a number of people following the introduction of new ticketing machines and feedback from a variety of demographics has so far been extremely positive. Meanwhile, commuters in their 20s labelled the service a “step in the right direction” as millennials continue to favour the use of contactless payment methods. With more SMART ticketing initiatives on the horizon contactless take up is destined to increase further which is welcome news for advocates of faster and more efficient public transport in the region.